This elegant and functional, original fender model is manufactured from high-quality EVA-polymer. 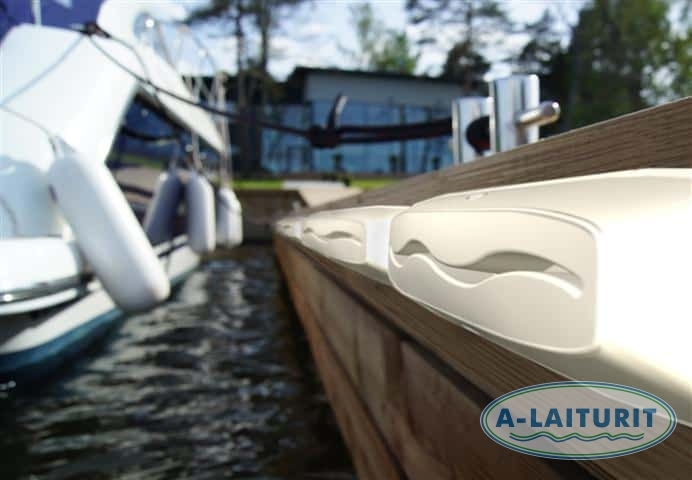 It facilitates access to shore while protecting both boat and dock before the boat fenders have been put in place. 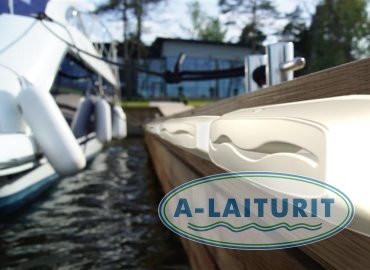 The Aalto or Wave fender, so named after its stylish design, is fixed to the dock in eight places, thus providing the strongest fastening on the market. Can be placed in a vertical or horizontal position. 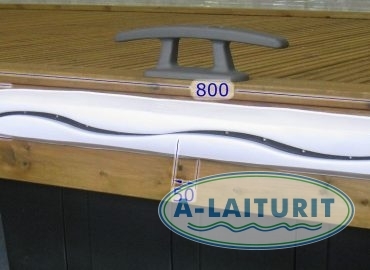 Length: 800mm, Height: 100mm, Thickness: 50mm. Sold in pairs. 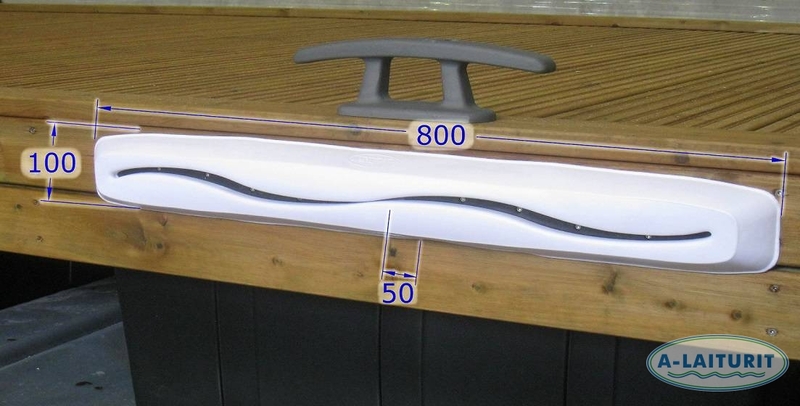 The package includes 4 jointing plates and 16 stainless screws.